Ever wanted an overview of metal genres? 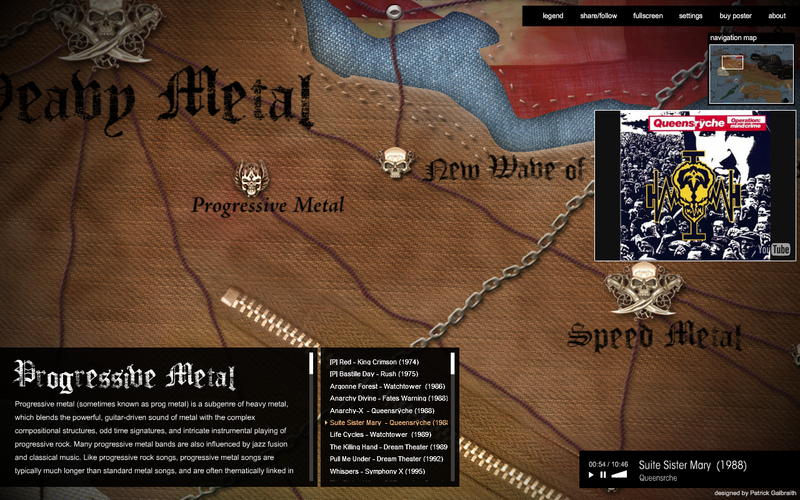 Well, here’s one and its the coolest one I’ve seen: Map of Metal. Every major genre is displayed not only with relations to other genres, but also a description, history and example songs with audio and video links. Did I mention it looks amazing? You can even buy it as a poster.